Here’s a new comic book you might enjoy, created by the haiku artist. HOMER, AK 1/1/2018 – Zinc Comics is pleased to introduce a new title that everyone will be talking about. 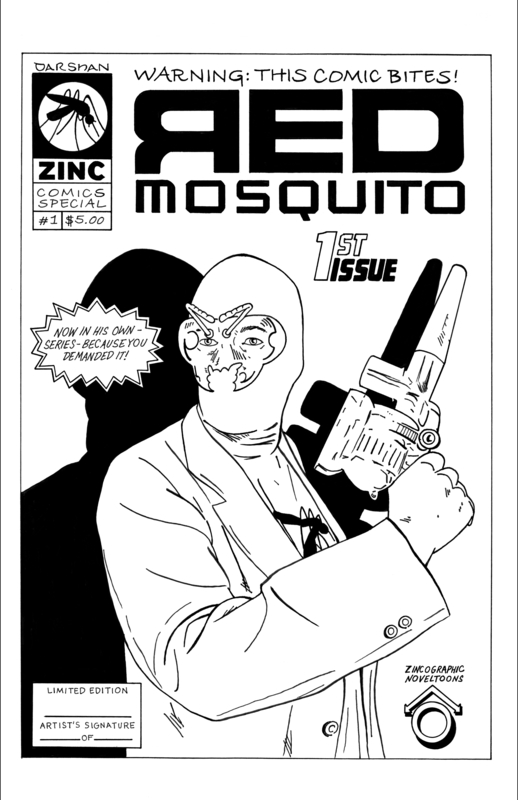 Alaskan comic artist Brian Payne will release Zinc Comics Special #1: RED MOSQUITO™, an all-new one-shot, on November 7th through his own Darshan Studios imprint. In RED MOSQUITO, readers will witness the next chapter of this Alaskan superhero’s story, one that will redefine his past, his future, and the lives of everyone living in the Cosmic Hamlet by the Sea. Zinc Comics Special #1: RED MOSQUITO™, will be available from the Zinc Comics Shop (http://zinccomicsshop.storenvy.com) on Wednesday, November 7th, 2018.